Added on October 21, 2017 by J.D. Magers. This day was supposed to be a meet up of a members of a Facebook group for Rocky Mountain Wildlife Photographers. We intended to do some birding at Rocky Mountain Arsenal National Wildlife Refuge. What the twelve of us who showed got was a 10 degree day and a very fast moving snow storm that started right as we were meeting and quickly iced over every road in Denver. 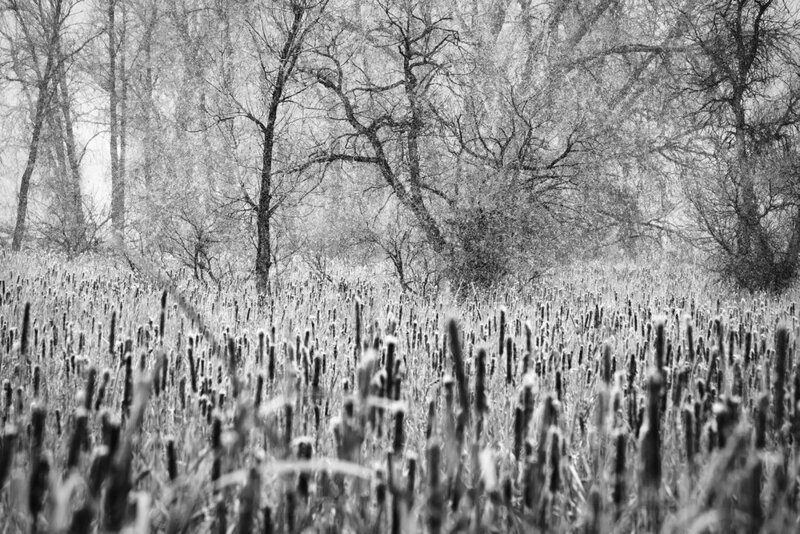 I snapped this frame of some cattails before starting for home.